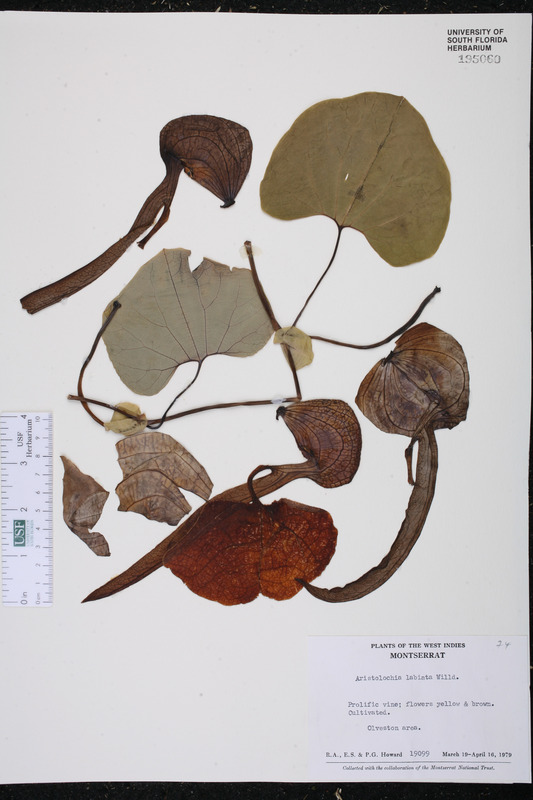 Currently Accepted Name: Aristolochia labiata Willd. Locality: USA. Florida. Pasco Co.: Along C-41, ca. 0.5 mi. E of junction with I-75. T24S, R20E, Sec.11, NE¼. 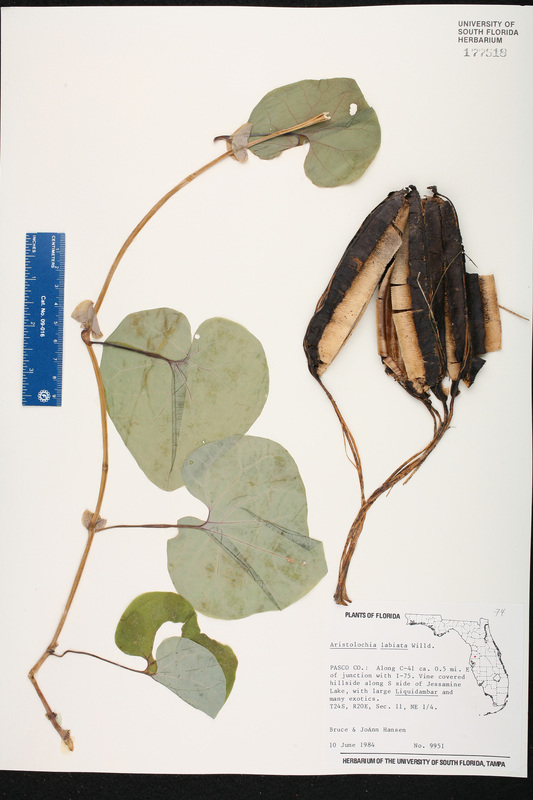 Habitat: Vine covered hillside along S side of Jessamine Lake, with large Liquidambar and many exotics. Description: Prolific vine; flowers yellow and brown.